As the baby boomer generation ages, it is no wonder that careers in health care are projected to have the highest growth rate in the next 8 years, but where is the best place to work? As the United States continues to struggle with the lasting effects of the recession, individuals looking for employment need to be strategic about their job searches, and registered nurses are no exception. With its steady rise in population, very low commuting times, and unwaveringly low unemployment rate, the capital city of Oklahoma has a lot to offer prospective employees. The projected population total for 2011 was just under 600,000 people, but in spite of its population size the average daily commute was less than 20 minutes. Whereas the unemployment rate reported in 2008 was a respectable 5.6 percent, as of July, 2012, unemployment in metropolitan Oklahoma City was under 5 percent. In Nurse Link’s study, Oklahoma City ranked 15 on a scale of 1 to 100 for cost of living, making life very affordable for households with the median income of $43,798. If one were to simply evaluate this city based upon unemployment rates and commuting times, Oklahoma City should perhaps be closer to the top of the list now. When compared with Oklahoma City, perhaps Salt Lake City has lost a little ground since 2009. Although population has increased by nearly 10,000 people to just below 190,000, the unemployment rate has risen slightly from 5.2 percent to 6.0 percent as of July, 2012. Ranked 41 on a 1 to 100 cost of living scale, the slightly higher median household income of $44,223 has to stretch a bit farther for residents. Extraordinary commuting times averaging around 19 minutes (down from over 23 minutes as reported by Nurse Link’s study) make for a very happy employee base. 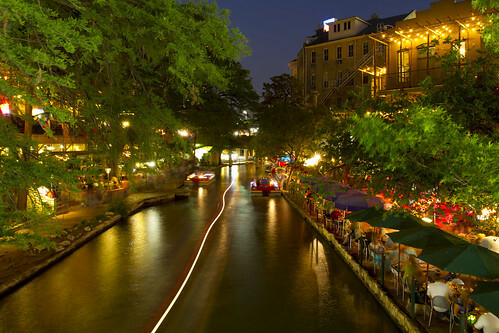 With a projected population of 1,359,758 in 2011, San Antonio has a lot to draw tourists and new residents alike to its city. Nurse Link’s article noted the potential of projected job growth in education, health care, manufacturing, government, and service industries, as well as a thriving tourism, but the unemployment rate has had a palpable jump from 6.0 percent in 2008 to 7.3 percent in July of 2012. This could be a harbinger of a greater unemployment problem, but median household income of $43,152 and short average commute time for this bustling city are both positive factors for the job market. A respectable ranking of 29 on the cost of living scale suggests that workers can expect an affordable lifestyle in San Antonio. Austin is a regular on “Best Cities” lists for a reason. Austin boasts a very stable and low unemployment rate (6.3 percent in 2008 and 6.4 percent in July, 2012) thanks in part to the state government and the University of Texas. The second largest city in Texas, Austin experienced a projected 4 percent increase in population in 2011. The median household income was larger than the other top cities at $50,520, with a rank of 51 on the 1 to 100 scale for cost of living. The less than 22 minute average commuting time is icing on the cake for the happy residents of Austin, Texas. Although there could be some shift in ranking here, nurses looking for a great city in which to live and to work should examine these 4 locations closely. Lisa Baxter is a trauma nurse and guest author at Best Master’s in Nursing, a site with reviews and guides to top-rated masters in nursing programs online.